Get on board. 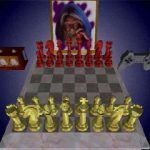 A radical new perspective on the game of chess. 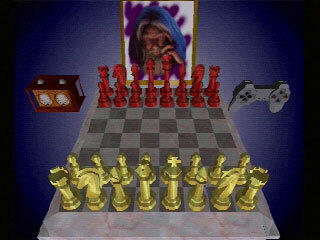 Based on the world’s best-selling computer chess program The Chessmaster 3-D puts you in complete control of awesome vivid 3-D and 2-D chess sets and boards from every perspective imaginable. Shift your position from above the board to below from beside it to right on top of it as you play. 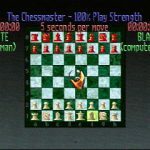 With the same powerful 32-bit chess engine as Mindscape’s world-famous The Chessmaster 4000 for your PC, this program features a variety of unique sets real-time rendered pieces and a stunning multidimensional playing environment. Rendered-on-the-fly 3-D or 2-D war room views. Monitor every aspect of your game with a unique 3-D background main menu. Perfect your skills with The Chessmaster’s teaching options. 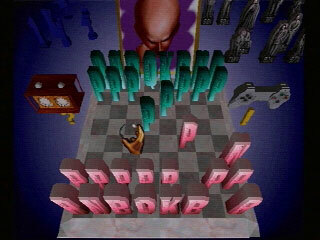 Play with a variety of different chess sets each with its own characteristics. Set up a position and have The Chessmaster solve for mate. See The Chessmaster actually think. Experience an audio rush through the sound effects accompanying every action. Challenge 12 diverse computer opponents, or go head-to-head with a friend. The original printings of the long box version feature a rather embarrassing error. The ESRB information was not filled in, so the template place holders of “Category” and “Rating Descriptor” can be found on it. The jewel case version corrects this. 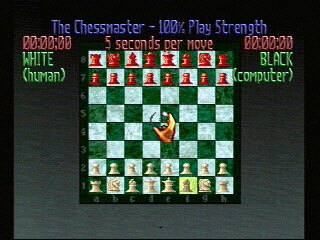 Chessmaster is the longest running chess game series in video game history. 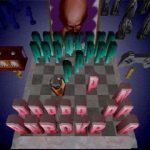 The game was originally supposed to launch in the last trimester of 1995, but got delayed to the new year. This can be confirmed by the PSRM number assigned to the disc not matching up to the launch date.